Find an engagement ring that complements her unique style from our collection of solitaire and diamond settings in gold, platinum, and palladium. Choose a setting and a diamond separately or shop our pre-set engagement rings. 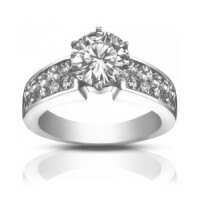 An engagement ring is more than likely the most significant jewelry purchase you'll ever make. Choosing the right one involves the weighing of many different factors, which can be overwhelming for someone who's never purchased a diamond. 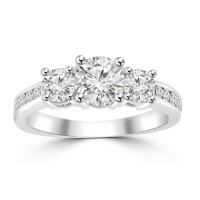 At Madina Jewelry, we're committed to helping you find a diamond engagement ring that perfectly suits your tastes and lifestyle. We'll guide you through every step of the shopping process to make it as smooth and enjoyable as possible. 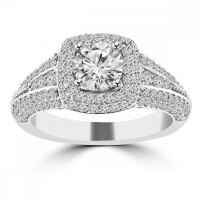 This elegant ring contains three diamonds; one for your past, one for your present and one for your .. This elegant ring contains three diamonds: one for your past, one for your present and one for your .. 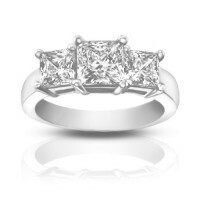 This classic and elegant design features hand-picked princess cut diamonds prong set in platinum. 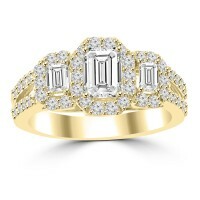 Th..
Now that you have your diamond you now need the perfect ring to show it off in, that’s why we’ve cr.. 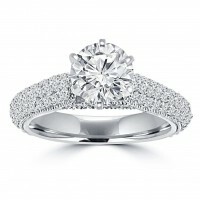 Absolutely stunning, this diamond engagement ring is certain to sweep her off her feet. The romantic.. 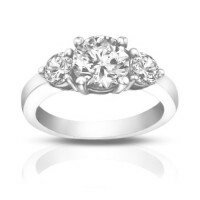 Your loved one will take pleasure in this striking 2.00 Ct. diamond engagement ring. 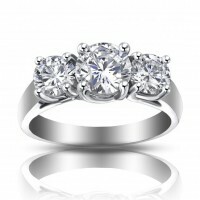 Grandly placed ..
Magnificently wide and full of sparkle our diamond engagement ring is the ideal choice for displayin..